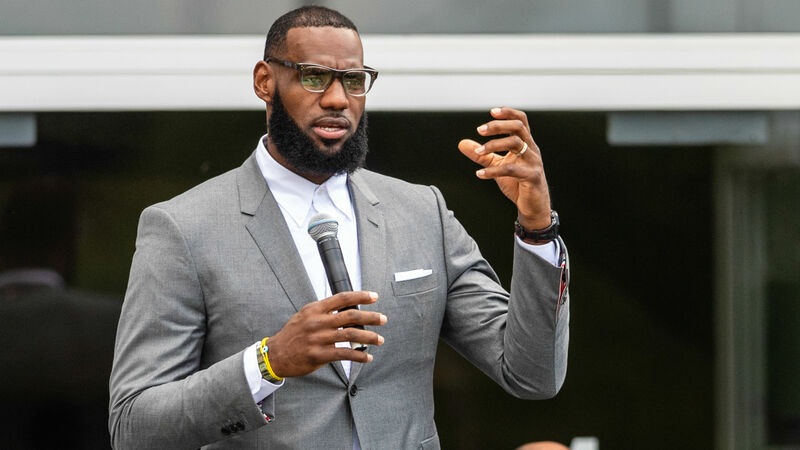 The Los Angeles Lakers superstar has been outspoken on a number of topics in recent months, notably challenging president Donald Trump on “trying to divide us” and supporting Colin Kaepernick, who was criticized for kneeling during the national anthem before NFL games in protest of perceived police brutality and racial injustice. “I’m very comfortable, if that’s the case [and others follow],” James told SPOX. “I want to continue to inspire and lead a generation, not only my colleagues but the guys underneath them, to feel empowered and realise that they’re more than a basketball player and can be more than the bubble that people try to put them in. But with the increased attention on James’ actions, the 33-year-old likes to get away from the media spotlight and spend time with his family. “When I’m at home with my two sons, my daughter, my wife, my mom and my mother-in-law, that’s when I get my peace and quiet,” he said. “It’s a breath of fresh air when you’re able just to get away and spend time with your family, where everything is unfiltered, everything is laid back, everything is just love.